“And the winner is…” - these words generate a whole lot of excitement all over the world. In Russia specialists use Artec to preserve historical excavation findings, while in Japan our L scanner helps create small statues for trophies and awards. 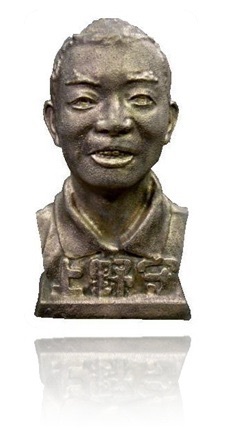 Ueno Kigata, who purchased their scanners from Datadesign, Artec’s authorized reseller in Japan, has made it their business to create bust and relief replica for plaques, memorials and sculptures. The company facilitates the whole production line from 3D scanning to 3D printing in-house. Ueno Kigata uses Artec MH and L scanners to accurately capture objects, which are then either milled from wood or poured of aluminum. With all Artec scanners being fully portable, the company uses two ways to capture the original item. One is to place the object on an electrical turning table and put the scanner onto a tripod or hold it steady in hand. Both the Buddha and the fox, featuring in those videos, were scanned for digital archiving purposes and to promote the work of the museum, they are kept in. The resulting 3D models can equally be sent to milling machines that produce replicas of the sculptures, from either wood or aluminium. Classic-Car.TV digitizes a unique 1937 Ford Eifel with Artec 3D scanners at the MakerSpace innovation center of the Technical University of Munich.